Servicing Wilmington, New Hanover, Pender, and Brunswick county providing driveway installation, service, and repair. Specializing in concrete, loose gravel, marl, and rock. We specialize in New Driveway Installation and Driveway Repair in and around Wilmington N.C. We offer concrete, gravel, marl, crush-n-run, or just about any other aggregate you may be interested in. 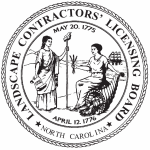 We are up to date on city, county, and state codes, and will advise our customers when and if permits are needed. We also cut, drill, extract or dispose of existing concrete. So whether it’s new construction or maybe you just need something touched up, repaired, or regraded, it’s no problem. We like them all, big or small. Pleasant Land Services can assist with all driveway and concrete needs, both residential and commercial. If your business has paving needs, or driveway installation or repair needs, give us a call. We are experienced in commercial concrete and sidewalk repair and root removal. And don’t worry – when we repair your concrete, we’ll remove the old concrete too. With decades of experience, Pleasant Land Services specializes in professional sidewalk and patio installation. Sidewalks and patios, we believe are part of the landscape. Positioning and flow of the concrete sidewalk or patio design should enhance the landscape without losing the intended purpose of a functional walkway or recreation area. We install concrete sidewalks, patios and slabs in the Wilmington N.C. area. We are also experienced and efficient in extracting and removing existing concrete.